Do you need some funny quotes about turning 21 to write a note in a card? Maybe you need to write a speech or a toast for a 21st birthday party? Could you be planning a birthday celebration and need a funny quote for the invitation? You've come to the right place. Here are 21 great quotes and funny lines for celebrating the occasion of someone's 21st birthday. 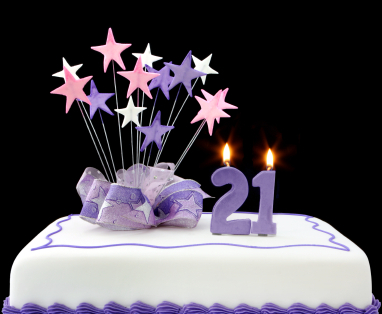 If you'd like to wish someone a happy 21st birthday, but would prefer a take that's a bit more thoughtful and perhaps a bit less comical, check out some more quotes about turning 21. We've got some great 21st birthday sayings to consider too. "Funny Quotes About Turning 21." YourDictionary, n.d. Web. 20 April 2019. <https://quotes.yourdictionary.com/articles/funny-quotes-about-turning-21.html>.